GOVERNOR Adams Oshiomhole of Edo State has accused the Minister of Finance and Coordinating Minister of the Economy, Dr. Ngozi Okonjo-Iweala, of “gross mismanaging of the nation’s economy” in the last four years. The governor in an article to review the nation’s economy in the last four years said Okonjo-Iweala was running the Excess Crude Account (ECA) as if it was a one-man show. 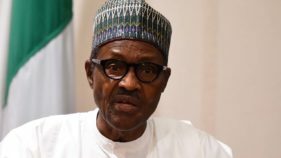 He added that the minister’s recent outcry that oil marketers were falsifying subsidy claims might have been done in fear of the incoming President Muhammadu Buhari. Oshiomhole wrote: “As the country transits from one democratic dispensation to another, there is no gainsaying that the state of the nation’s economy is the focal point, especially with the unending fuel scarcity which is gradually grinding the nation to a halt. “No doubt, the best person to explain the state of the economy today is Okonjo-Iweala, Minister of Finance and Coordinating Minister of the Economy, whose management of the nation’s resources in these past four years has elicited different reactions from Nigerians. He accused the minister of pointing in the wrong directions and “blaming everybody but herself for the parlous state of the Nigerian economy, coming after her deafening silence on the PricewaterhouseCoopers (PwC) audit of NNPC crude oil sales and receipts, which revealed massive abuse of public trust and stealing of our common patrimony in high places under her watch and the government she serves. “It is quite intriguing that with barely few days left in office, she has suddenly woken up from her slumber to realize that oil marketers have been all along falsifying subsidy claims and defrauding the nation of billions of naira and dollars. This latter day ‘policy activism’ on her part deserves closer scrutiny and interrogation. The governor accused the minister of not being sincere with the alleged payment of subsidy to oil marketers, adding: “According to Dr. Okonjo-Iweala, after paying N156 billion to the oil marketers, the marketers came with another claim of N200 billion, which includes a N159 billion coming not from actual supply of fuel but from exchange rate differentials. He also accused the finance minister of mismanaging the ECA, shortchanging the states and leaving them poorer. gaping holes, both in facts and logic. under Okonjo-Iweala watch have not been well managed. Minister, it has failed abysmally. and communicated to the nation? media and widely disseminated through all news channels. 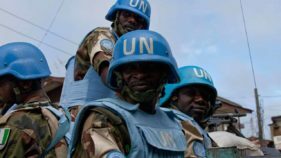 from various sources and the uses to which he has deployed them? being cheated. That is what Okonjo-Iweala did. of their states and are begging for bailout are those who should to be scared. You can tell temporary lies, but you cannot afford to keep the truth away from the public. The truth will someday be revealed to all and everything will be brought to light. Okonjo Iweala has started the process already. I’m disappointed that Oshomole can desend to a level where he propagates lies. Blaming a competent minister like okonjo only shows what Oshomole holds as values. He will rather blame the innocent to score cheap political points and make the country remain in a state of confusion. Okonjo Iweala transparency and commitment will not be shaken because her passion for the Nigeria state is more than the lies that Oshomole can propagate. It is no surprise that a few days after the Federal Ministry of Finance published the details of what the Federal and State governments received from the Excess Crude Account over the past four years, Governor Adams Oshiomhole of Edo State has launched an attack against the Coordinating Minister for the Economy and Minister of Finance, Dr. Ngozi Okonjo-Iweala. His article “Economy: Okonjo-Iweala’s hidden figures” is full of gaping holes, both in facts and logic. Obviously, for daring to publish how the ECA was shared and showing that governors who cannot pay salaries have no excuses, Okonjo-Iweala is being targeted. It is noteworthy that several of their colleagues have been able to manage their finances reasonably well under these same difficult circumstances. The release of the ECA details has also demonstrated very clearly that there is no substance in the wild allegations that any money is missing from the account or that finances of the country under Okonjo-Iweala watch have not been well managed. Like previous baseless allegations by some Governors, the motive behind Oshiomhole’s attack is clear: to deflect public attention away from the manner in which they have run the finances of their states and make Okonjo-Iweala the scapegoat. If it was meant to intimidate the Minister, it has failed abysmally. How can Governor Oshiomhole claim that state governors were not properly briefed on the status of the ECA when his commissioner of finance attends all the FAAC meetings where decisions are taken and communicated to the nation? This diversionary tactic will not succeed because Nigerians are too smart to buy into this fiction. Secondly, the Finance Ministry under Okonjo-Iweala, the Minister who started the practice of publishing details of allocations from the Federation Account to all the three tiers of government, has regularly furnished Nigerians with information on the country’s finances. Governor Oshiomhole’s statement that Okonjo-Iweala “must disclose to the nation the full details of subsidy payments made to oil marketers in the last four years” is therefore astonishing given the fact that EVERY payment made to the marketers has been published in the media and widely disseminated through all news channels. Oshiomhole’s allegation that Okonjo-Iweala has not been transparent is ridiculous and totally lacking in merit. Apart from the monthly publication of allocations to the federal, state and local governments, the Federal Ministry of Finance under Okonjo-Iweala also publishes SURE-P receipts and distribution to different tiers, details of payments to oil marketers and other information. Has Governor Oshiomhole demonstrated the same level of openness in his management of the affairs of Edo State? Can Oshiomhole also go public with ALL the information showing what he has received from various sources and the uses to which he has deployed them? Equally incomprehensible – for a supposedly smart Governor – is Oshiomhole’s claim that the CME has “just woken up from her slumber to realize that oil marketers have been all along falsifying subsidy claims and defrauding the nation of billions of Naira”. This statement underscores the extent to which he is willing to go in his desperation to tar Okonjo-Iweala. When she returned as Finance Minister in 2011, the outstanding fuel subsidy bill was about N1.3 trillion. It was the work done on subsidy fraud by the Aig-Imoukhuede Committee which the Minister set up, later elevated into a presidential panel that determined that over N300 billion of the amount was fraudulent. This eventually led to the prosecution of some persons for subsidy fraud and reduction of the annual subsidy budget to N791 billion, saving the country over a trillion naira in the process. Maybe it is His Excellency who was snoring while this was going on. Such baseless posturing only serves to diminish the credibility of Oshiomhole in the minds of objective Nigerians. For the record, Dr. Okonjo-Iweala has no apologies for insisting that a claim of N159 billion for forex differentials by the marketers out of a total bill of N200 billion should go through an additional verification process. When 80% of a subsidy claim is made up of forex differentials and not the value of the amount of fuel supplied, the right and proper thing to do is to take extra steps to ensure that the country is not being cheated. That is what Okonjo-Iweala did. Oshiomhole’s allegation that the Minister is involved in “an unholy alliance” with government agencies and the marketers is therefore manifestly untrue and totally irresponsible. How can a minister against whom the oil marketers have conducted a very public campaign of calumny be in league with them? A decent public official should not make such scurrilous and unsubstantiated statements. The most laughable part of Oshiomhole’s article is the claim that Okonjo-Iweala has been speaking out lately because of the “fear of Buhari”. Nigerians know this is ridiculous. 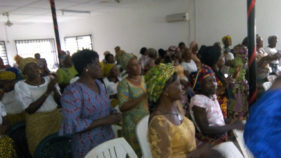 If there is any minister whose voice has been strong on the right issues over the past four years it is Okonjo-Iweala. 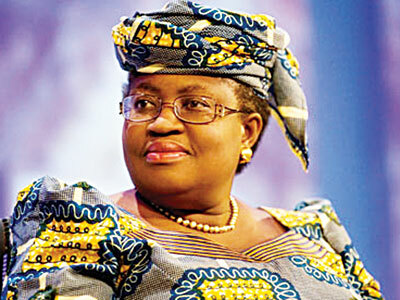 Okonjo-Iweala combines a stalwart integrity, a mastery of her mandate and the courage of her convictions. She therefore has no reason to fear. Those who cannot adequately explain what they did with the resources of their states and are begging for bailout are those who should to be scared. Oshiomole, don’t teach me nonsense! public official should not make such scurrilous and unsubstantiated statements.